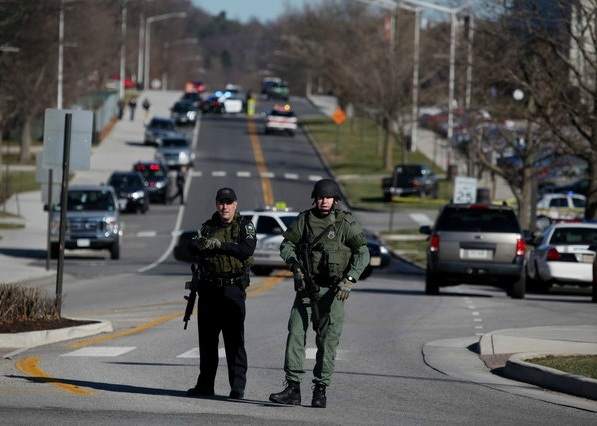 (Edited from Roanoke Times) The victim in yesterday’s Virginia Tech shooting has been identified as 39-years-old Deriek W. Crouse of Christiansburg. A member of the VT Police Department since 2007, Crouse is survived by his wife, five children and stepchildren, his mother and a brother. 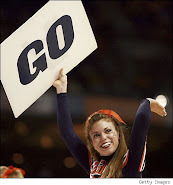 Crouse made what university officials described as a routine traffic stop in the Cassell Coliseum parking lot. In the midst of the stop, Crouse was shot to death in front of witnesses. University officials said the shooter was not the person stopped, but was a man who approached while the stop was taking place. Questions remain about where the shooter came from and why Crouse was shot. 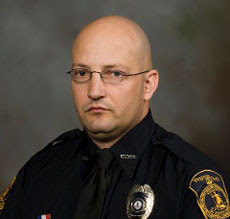 Crouse, a U.S. Army veteran, was a member of the Virginia Tech Police Emergency Response Team and served in the patrol division, according to a university news release. He received an award in 2008 for his commitment to the department's Driving Under the Influence efforts, the university release said. He is survived by his wife, five children and stepchildren, and his mother and brother. Witnesses saw Crouse's shooter flee on foot toward the Cage, a university parking lot down Washington Street from the Coliseum, Tech officials said. Officers soon found a second body there, a man who had also died of a gunshot wound. That person is believed to be Crouse's killer. Authorities had not released the identity of the second body Thursday night, but in a conference call, state police confirmed that the man found dead in the Cage lot was seen in video from Crouse's patrol car with the weapon that is believed to have been used in Crouse's killing. Authorities also said during an afternoon news conference that the man found in the Cage was not shot by a law enforcement officer. Tech President Charles Steger issued a statement Thursday night saying that he felt "a deep - and regrettably familiar - sense of sadness" at Crouse's death.